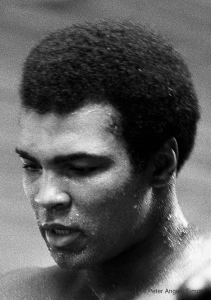 There is something seriously wrong with a world that does not have Muhammad Ali in it. In the late 1960’s a dance company was warming up in a theater in upstate New York. As the sound system was being tested a dancer stood on stage balanced on one leg. Suddenly he fell over. Company members rushed over to see what had happened. “I was fine until they cut the sound,” he said. 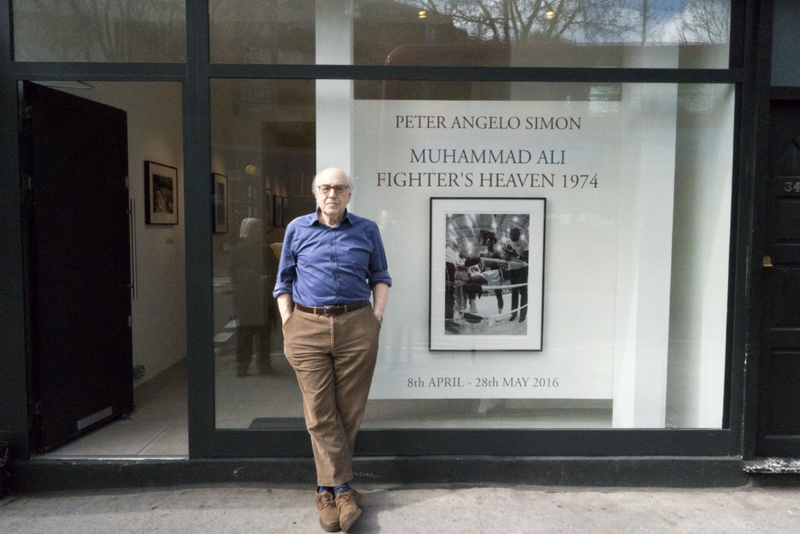 “I had been leaning against the music.” Without realizing it I had leaned against Muhammad Ali’s spirit. Its sudden absence upset my balance. These photographs, most of which have never before been published, are collected in the forthcoming book, “Muhammad Ali: Fighter’s Heaven 1974.” by Reel Art Press. It will be released in the UK in July and the US in August. From those first shots there was an unspoken agreement: Ali did his thing and I did mine. Pennebaker says “People with cameras live peculiar and magical lives.” I was in Photographer’s Heaven. The record of what I witnessed there can be seen in Muhammad Ali: Fighter’s Heaven 1974. Outside the recent exhibition at the Serena Morton II Gallery in London. error: Content is protected by copyright.